Temperatures are dropping, but we’re bringing the heat! 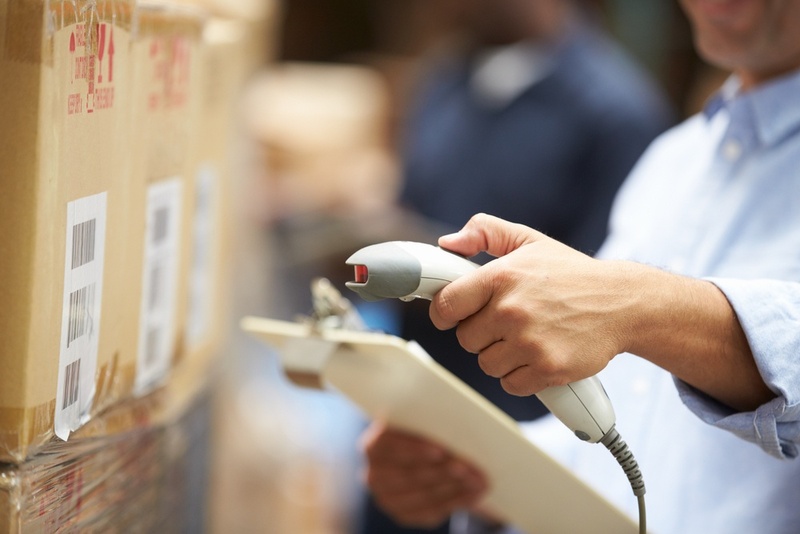 The holiday season has ended, it’s time to start analyzing your inventory. Learn your SKU by SKU profitability to make actionable business decisions, liquidate dead inventory, and grow your revenue. #1 – Walmart gets access to certain brands that would never consider selling to or on Walmart.com. We understand how brutally difficult it is trying to run and operate your business selling on multiple different sales channels. Every seller now has a powerful new marketplace to integrate with. I would say this marketplace is a must-have to expand your reach and sales. What is this powerful new marketplace we speak of? Skubana has launched new & powerful features to further help your e-commerce business increase profits! Check out our latest additions to work smart & sell more! We’re happy to bring you the top e-commerce news & best practices for the week of November 15th to 21st. Help fuel your holiday profits in 2015 by making smarter decisions. It is commonly said that we should never mix business with family. However, Jason Boyce Co-Founder and CEO of Dazadi.com has proven that not only is that a false mantra, but that the bond of familial trust and strong leadership is the ultimate weapon against any e-commerce hardship. Whether you’re experiencing it now or later, as an online seller, there will be a tipping point when your e-commerce order transaction volume has increased beyond your team’s current capabilities. As your business grows, so does the cost and complexity of running it. Building a brand can be the defining factor when determining the success of an e-commerce business. How Is Your Amazon Return Process Holding Your Business Back from Growth? In e-commerce, when a customer “window-shops” with their credit card in hand, one of the first things they consider is your company’s return policy. If shoppers don’t like what they see, they will bounce. Your return process defines the user experience and their confidence in you as the seller. Psyched for the weekend? Before you run off to see Zac Brown Band (we’re actually doing this, don’t judge us) or go see the Jets play the Falcons (we’re doing this also, be jealous), check out this week’s e-commerce news. You now have access to our Analytics BETA for our initial roll out with many more insights to drive more profit out of your business to come at the end of the month. Stop flying blind and start understanding your business. Psyched for the weekend? We’ve almost made it folks, but before you put your feet up, go for a bike ride, or start reading your favorite book, check out this week’s ecommerce news. 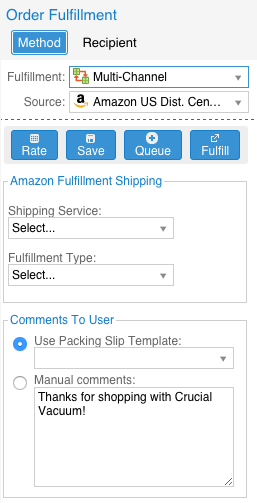 Set your fulfillment source for multi-channel fulfillment and Skubana will take care of the rest. Choose your Amazon Fulfillment Shipping method, by orderbot or on a order-by-order basis and Skubana will automatically push the order to be fulfillment by the selected source Amazon distribution center. Over the years in e-commerce, we’ve acquired an addiction… shopping. And it’s not because we love shopping. The reality is we learn a ton about other e-commerce sellers (and competition) every time we shop online. “SCOE is easily one of the most useful conferences I attend each year. If you sell on Amazon, SCOE is a “can’t miss” event. Every year I learn something that puts money in my pocket.” ~ Skip McGrath, Publisher The Online Sellers News. Spring is here and Skubana is excited to hit the road and meet other sellers during our Spring Events Roadshow. Skubana is still going strong as Catalyst 2015 continues. Day 2 proved to be just as engaging and essential for all things e-commerce.